Coming in at #30 – and kicking off the 2012 Cigar of the Year Countdown is the La Gloria Cubana La Gloria Cubana Trunk Show Twenty Twelve Liga LR-1. In 2010, La Gloria Cubana had three cigars in the 2010 Cigar of the Year countdown. After a one year absence, both La Gloria Cubana and its parent company General Cigar make a return to the countdown. 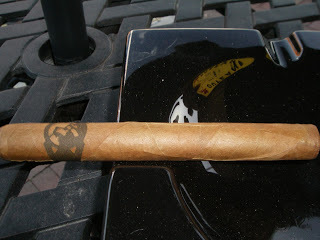 For this epic encounter, once again La Gloria Cubana brings a cigar with an innovative concept – namely a smokeable band. The La Gloria Cubana Trunk Show Twenty Twelve Liga LR-1 was one of two limited edition releases with smokeable bands for 2012. 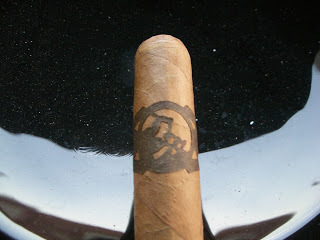 The LR-1’s smokeable band had an intricate die-cut band representing the La Gloria Cubana logo. Only 500 boxes of the both the LR-1 were produced. But smokeable band or not, it really came down to the smoking experience. I found the LR-1 to deliver a highly complex flavor profile consisting of cream, wood, pepper, herbs, raw sugar cane, and nut. The flavors start out medium to full bodied and progress to full bodied. The LR-1 has a little more pop than one might think. It starts out medium strength and progresses to medium to full at the end. The La Gloria Cubana Trunk Show Twenty Twelve Liga LR-1 features a Habano Connecticut Fino wrapper. The remainder of the blend consists of Nicaraguan tobaccos. There is only one vitola in this blend – a 7 x 52 (a slightly thicker) Churchill.